One of the biggest problems facing employers today is how to get employees to take responsibility for their jobs in a deep and meaningful way. The fact is that you simply cannot take responsibility for everything that happens in your company even though you may ultimately be held accountable for it. It is critical that you maximize employee retention levels and get your workers to take ownership of their own performance. 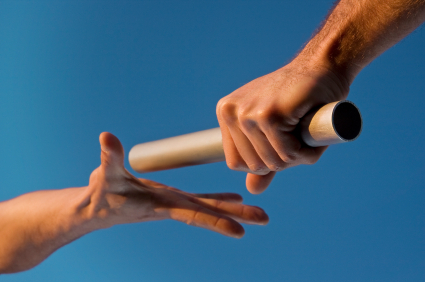 How do you get employees to take responsibility for their work? The same way you get anyone to take responsibility: by leading by example and providing learning opportunities with real consequences. Think about your children for a moment. You want them to learn to drive so that they can be independent. However, you would never simply put the keys to a vehicle into their hands and tell them, “Good luck! I’m sure you’ll figure it out.” Instead, you spend the first 16 years of their lives showing them how to drive, then another year sitting beside them while they drive. You make it clear that as you release more responsibility to them you expect more mature performance. In fact, you tell them that if they do not meet your expectations, there will be punishment! If your child gets a speeding ticket or is involved in a fender-bender, he or she quickly learns the cost of such behavior. Soon, your children are turning into safe and careful drivers who understand the need for good performance behind the wheel. then take time to meet and discuss what they have read. This allows them to learn from each other. Finally, I release more and more authority and control to employees as they show they can handle these responsibilities. If you want to increase employee retention and help your workers take ownership of their own jobs, you must be willing to work side-by-side with them and lead by example. You must also be willing to release authority to your employees. If there is a single thing that consistently causes people to fail it is lack of repetition. Repetition is the key to success and is vital for those who want to learn a new skill. 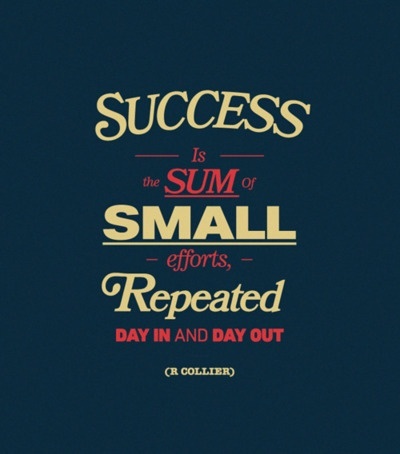 In fact, it is so important that it bears repeating: repetition is the key to success. Are you already tired of hearing me repeat that? Unfortunately, most of us simply do not like repetition. We turn on the television and we do not want to see reruns; in fact, we expect a new and exciting episode every week. However, without repetition the chances are good that we will not internalize something and will not really learn it. When you are reading something like my book “Built To Lead”, there is a lot of information for you to internalize. This does not mean to read it once and “file it away.” In fact, it is rather silly to expect anyone to internalize material that is read only once. Instead, I suggest keeping a highlighter by your side or using your electronic highlighter function to highlight important passages as you read. Anything that jumps out at you should be highlighted. Once you have finished reading, re-read only the highlighted passages once a month. You will find after a few months you are retaining far more than you imagined you could, simply due to the power of repetition. Another simple trick is to jot down an idea on a sticky note and place it in a visible location where you will see it daily. Keep it up for a month, then transfer it to a special board along with other sticky notes from past months. Whenever you transfer an “old” idea and put up a new one, re-read the entire board. You will be surprised how deeply these ideas come to influence you. If you really want to be successful, you have to be willing to do things more than once. One pushup does not make you fit! Rather, repetition of pushups is the key to success if you want to develop strong arms. In all endeavors, repetition is the key to success! Talk about highlighting and rereading. One pushup doesn’t make a body fit and healthy. Relate this to the blog. Go through the blog and bookmark/ reread articles. Do you really love the life you are living? Many of us are surprised to find that we are thrown into a life we never imagined! Until you love what you do, you miss the chance to live an inspired life. How do you know if you were built to lead if you do not love what you are doing so much that you cannot wait to get out of bed each day? However, you do not just love what you do accidentally; it is a function of another love affair that goes on every day. There are probably three things in your life that have the capacity to make you love what you do. Surprisingly, those things do not include your bank account, your fame, your power or the admiration of others. Most likely, if you are actually living a life you love, you are really in love with three things: your family, your faith and your employees. Your family is the rock that keeps you grounded to earth. Where would we be without our wives and children? Families give us a reason to work hard. We want to inspire them, teach them and provide them with everything they want. Your faith should be another love affair in your life and is your guiding compass to making good decisions. What would I do without the Lord to turn to? Where would I be without the Scripture to guide me? Better men than myself have lost their path due to a lack of faith. In fact, Jesus himself said, “And what do you benefit if you gain the whole world but lose your own soul?” (Mark 8:36).